WASHIGNTON — Editor’s note: The following statements have been released after lawmakers announced they had reached an agreement on the 2018 farm bill. The legislation will set federal agricultural and food policy for the next five years, and will provide $400 billion to agricultural research, conservation programs, food aid and more. The Farm Bill conference committee conferees today released the text of a compromise Farm Bill, largely the effort of House and Senate Agriculture Committee leadership resolving differences between the House and Senate versions of the 2018 Farm Bill. If approved by both chambers within the next week and a half, the legislation will be on President Trump’s desk and awaiting approval before the end of the year. “Passage of the 2018 Farm Bill cannot come soon enough for American family farmers and ranchers, who need the certainty of the Farm Bill safety net to continue to weather the worst farm economy decline in more than thirty years. We also need the bill to continue the sustainability gains and emergence of new markets for farmers that have been supported by Farm Bill programs. “Senate and House agriculture leaders and their staff have worked tirelessly to resolve differences in the chambers’ respective farm bills, and they’ve produced a bill that represents a critical step toward providing the relief and certainty farmers need amidst struggling markets due to oversupply and trade volatility. The American Farm Bureau Federation’s board of directors today voted unanimously to endorse final approval of the 2018 farm bill on the strength of its comprehensive provisions that support production agriculture, including measures related to risk management, crop insurance and programs that facilitate market development. Duvall said the AFBF board expressed its appreciation to House and Senate agricultural leaders – Senators Pat Roberts and Debbie Stabenow and Representatives Michael Conaway and Collin Peterson – for the months of hard work they invested in crafting the bill. After two months of negotiations, the 2018 Farm Bill Conference Committee leaders yesterday released a final bill that makes long-overdue investments in the future of American agriculture. 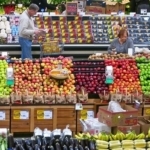 If passed and signed into law by President Trump, the bill will better connect beginning and socially disadvantaged producers with the tools and resources they need to start and sustain vibrant food and farm businesses. It would also help both established and beginning farmers to tap growing markets by providing permanent, mandatory funding for local and regional food production and organic research. The bill provides permanent, baseline funding and also makes significant policy improvements to the following tiny but mighty farm bill programs: the Beginning Farmer and Rancher Development Program (BFRDP), Outreach and Assistance for Socially Disadvantaged and Veteran Farmers and Ranchers Program (also known as “Section 2501”), Value-Added Producer Grant (VAPG) program, and Farmers Market and Local Food Promotion Program (FMLFPP). The final farm bill combines BFRDP and Section 2501 into the new Farming Opportunities Training and Outreach (FOTO) program, and merges VAPG and FMLFPP into the Local Agriculture Market Program (LAMP). NSAC actively endorsed both FOTO and LAMP, and has for years advocated that Congress shore up these programs by providing permanent baseline funding so that legislative delays don’t result in funding or support gaps for America’s family farmers and farm organizations. The final bill also rejects the House’s efforts to eliminate the Conservation Stewardship Program(CSP) and preserves current funding across the conservation title. The conference report also makes important policy improvements to encourage cover cropping, resource-conserving crop rotation, and advanced grazing systems. Despite these historic victories and investments, the final bill contains serious shortcomings. 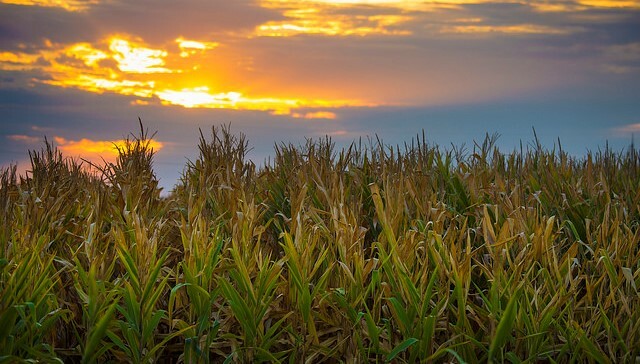 Overall, the bill fails to address some of most significant challenges facing American agriculture and rural communities – food and farm business consolidation, dwindling rural populations and resources, and climate change mitigation and adaptation. In some cases, the bill not only fails to move the needle forward, it actively takes steps backward by failing to restore funding cuts to conservation programs or close widening loopholes in our commodity subsidy and crop insurance programs. Over the next ten years, the 2018 Farm Bill will cut billions in funding for performance-based conservation through CSP. By failing to restore the $6 billion cut to conservation funds made in the 2014 Farm Bill, the only way to provide for other necessary increases within the Conservation Title – given limited available funds – was to cut funding from working lands conservation. That cut may start out small, but for the next farm bill in 2023, it amounts to a $5 billion reduction in budget authority. NSAC is also deeply disappointed over the bill’s inaction on crop insurance and commodity subsidy reform and failure to address issues like low farm income or farm consolidation. Instead of making much-needed reforms to the nation’s farm safety net programs, the final 2018 Farm Bill expands existing loopholes – the result of which will be million dollar per year subsidies for the wealthiest mega-farms and payments for nieces, nephews, and cousins who may never have even seen a farm let alone actively work on one. With the farm bill finish line finally in sight, NSAC will now be assessing next steps with our over 120 member organizations. We look forward to continuing our work to advance sustainable farm and food policy throughout the rest of the farm bill process. ASA today congratulated the House and Senate Agriculture Committees and Congressional leadership on release of a conference report that reflects a broad consensus of support for the “Agriculture Improvement Act of 2018.” ASA strongly supports this legislation and urges the House and Senate to approve it this week so it can be enacted before Congress adjourns for the year. Allowing producers to sign up for the county option under the Agricultural Risk Coverage (ARC) program or the Price Loss Coverage (PLC) program for 2019-2020 crops, and annually for 2021, 2022, and 2023 on a farm-by-farm and crop-by-crop basis. Allows farmers to update their program yields, increasing the support they’re eligible to receive. Increasing the Marketing Assistance loan rate for soybeans by 24 percent, to $6.20/bu. from $5.00/bu. 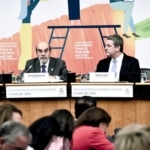 Establishes the Agricultural Trade and Facilitation Program, which will provide $255 million per year to fund FMD, MAP, emerging markets, and TASC. FMD is funded each year at not less than $34.5 million, and MAP is funded each year at not less than $200 million. A Priority Trust Fund will provide $3.5 million per year to programs for which requests are greater than the funds available. The Bill also allows FMD funds to be used in Cuba. Reduces mandatory funding of the Energy Title significantly, but continues baseline funding for the Rural Energy for America Program (REAP). 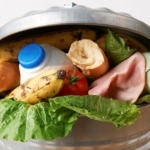 The Biobased Market Program will be funded at $3 million per year for 5 years – the only Energy Title program to get increased funding. Increases the overall acreage limit for the Conservation Reserve Program (CRP) to 27 million from 24 million acres by FY 2023, including 8.6 million acres to be devoted to continuous practices and two million for grasslands. Limits Conservation Stewardship Program (CSP) funding, and encourages States to give higher consideration to contracts that improve soil health. Maintains authorization for the Agriculture and Food Research Initiative (AFRI) at $700 million per year and directs USDA to utilize the National Academies of Sciences, Engineering, and Medicine (NASEM) “Science Breakthroughs to Advance Food and Agricultural Research by 2030” consensus report, which identifies priority research areas for developing a more efficient, resilient, sustainable, and competitive U.S. agricultural system. ASA helped fund this study. Crop insurance provisions allow producers to establish a single-enterprise unit across county lines. The language also includes cover crops as a good farming practice under crop insurance and ensures that the planting of a cover crop does not impact the insurability of a subsequent crop. ASA is hopeful the bill will be passed expeditiously before the lame duck 115th Congress adjourns, starting with House Rules Committee consideration on Tuesday afternoon. Thanks to the hard work of OFRF and a broad coalition of organic champions, we have secured historic wins for organic agricultural research in the 2018 Farm Bill, which will provide $395 million for organic agriculture research and education over the next 10 years. This milestone is the biggest win for organic farming in the Farm Bill in decades, securing permanent funding for organic research at USDA. These funds will dramatically expand competitive grants through USDA’s Organic Agriculture Research and Extension Initiative (OREI), ensuring organic farmers and ranchers have the tools and technology to meet their unique challenges and the growing demand for organic products—leading to a more resilient and sustainable agricultural system that values healthy environments and healthy people. As the Farm Bill heads to the U.S. Senate and House of Representatives for final consideration, we support the landmark wins for organic agriculture, including the significant funding increase for OREI and increased enforcement authority of the National Organic Program (NOP). In addition to these milestones, the Farm Bill includes several other programs that impact organic farmers and ranchers such as the National Organic Certification Cost Share Program (NOCCSP) and funding for the Organic Data Initiative (ODI). ▪ $395 million in OREI funding over the next 10 years. $20 million/FY 2019-2020, $25 million/FY 2021, $30 million/FY 2022, $50 million/FY 2023 and ever year after. ▪ $5 million for the Organic Production and Market Data Initiative, which helps facilitate the collection of organic production and market data. ▪ $40.5 million for NOCCSP that offsets part of farmers’ organic certification costs. This program is facilitated by $24 million in new funding, plus an additional $16.5 million in funding that was not used for the program from the previous Farm Bill. ▪ $5 million for technology upgrades, increased enforcement authority, and increased funding authorization for the NOP. ▪ Payment limits for the Environmental Quality Incentives Program Organic Initiative are increased to $140,000. ▪ Organic and sustainable agriculture practice are now part of the continuing education for Crop Insurance Agents and Loss Adjusters. ▪ Funding from the Conservation Stewardship Program will be allocated to States to support organic production and transition to organic production. ▪ Current voting and membership practices of the National Organic Standards Board are codified. ▪ Farmers that have land in the Conservation Reserve Program can being to transition the land to certified organic 3 years prior to the expiration of their Conservation Reserve contract. ▪ State Agriculture Mediation Programs shall now cover issues that impact certified organic production. ▪ The Market Access Program shall encourage export of USDA certified organic products. Organic agriculture would not be where it is today without the strong support of Congress. We would like the thank the House and Senate Agriculture Committee leaders for their hard work, including Senators Pat Roberts (R-KS), Debbie Stabenow (D-MI), Representatives Mike Conaway (R-TX), and Collin Peterson (D-MN) and the diligent staff of the Agriculture Committees, without whom we would not have been able to achieve such a historic win for organic agriculture. We would also like to thank Senators Bob Casey (D-PA) and Susan Collins (R-ME), and Representatives Dan Newhouse (R-WA), Jimmy Panetta (D-CA), and Chellie Pingree (D-ME) who championed Congressional support for organic research. Thanks to their help and support, we were able to gather strong bipartisan support for organic research, securing 66 co-sponsors of the Organic Agriculture Research Act. 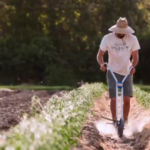 Other champions for organic agriculture in the Farm Bill process included Senators Patrick Leahy (D-VT), Kirsten Gillibrand (D-NY), Tammy Baldwin (D-WI), Sherrod Brown (D-OH) and the Senate’s only certified organic farmer, Senator John Tester (D-MT). Representatives Lisa Blunt Rochester (D-DE), Rodney Davis (R-IL), Doug LaMalfa (R-CA), and Darren Soto (D-FL), along with outgoing Representatives John Faso (R-NY) and Michelle Lujan-Grisham (D-NM) also supported key organic policies in the farm bill. Since its inception, OFRF has worked to cultivate organic research, education, and federal policies that bring more farmers and organic acreage into organic production. In 2002, OFRF was instrumental in securing the first dedicated USDA funding for organic agriculture, $3 million annually. In the 2008 Farm Bill, OFRF worked to secure $78 million for organic research, a historic five-fold increase from the $15 million allocated in the expiring 2002 legislation. Now in the 2018 Farm Bill, we can proudly say that USDA’s funding for organic agriculture research has become permanent, steadily increasing to $50 million annually by 2023. However, passing the 2018 Farm Bill is only the first step. OFRF will be working to inform this increased investment by ensuring future research and programs are relevant and responsive to the top challenges facing organic farmers and ranchers and producers who want to farm more sustainably, and that education and resources are broadly disseminated. Organic Farming Research Foundation (OFRF) is a non-profit foundation that works to foster the improvement and widespread adoption of organic farming systems. OFRF cultivates organic research, education, and federal policies that bring more farmers and acreage into organic production. “ARA is happy to see a Farm Bill move forward, however this bill represents a missed opportunity to correct some straightforward regulatory problems that would have had no budgetary impact. “We are disappointed to see language to fix the National Pollutant Discharge Elimination System (NPDES) regulatory overlap once again dropped from the conference report. 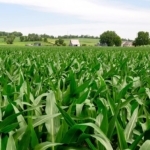 The association strongly supported language to fix the long-standing duplicative permitting requirement for pesticide applications that are already regulated under Federal Insecticide, Fungicide, and Rodenticide Act (FIFRA) and state laws. This unnecessary requirement, the result of a court case, adds cost, potential liability and compliance burdens without creating any benefit for the environment, worker safety or farmers. The fix for NPDES was publicly supported by all four of the primary negotiators of the report, was in the House bill, was on the table in the last Farm Bill, has previously passed the Senate Agriculture Committee, and yet was still not included in the report. “A proposed statutory definition of what constitutes a ‘retailer’ was included in the House bill but dropped in conference. This provision was necessary to prevent arbitrary re-definitions of ‘retailer’ by regulatory agencies, which was the mechanism the Occupational Safety and Health Administration (OSHA) attempted to use to impose Process Safety Management (PSM) on anhydrous ammonia fertilizer retailers. OSHA’s stated justification for trying to impose PSM was the 2013 tragedy in West, Texas, where anhydrous ammonia was present but played no role whatsoever in the explosion even by OSHA’s own admission. OSHA has ample authority under existing regulations to inspect facilities that store ammonia or ammonium nitrate without imposing PSM; assertions to the contrary are false. Rather than accept our offer to work together on targeted regulatory fixes for the actual causes of the incident, OSHA declined and instead opted to pursue PSM on a product that was not at fault at West. “Clarifications to streamline Endangered Species Act (ESA) consultations on pesticide registrations were watered down in the final conference report. Section 7 of the ESA requires consultations with the National Marine Fisheries Service or the U.S. Fish and Wildlife service on actions that might impact endangered species, but consultations on every single product or active ingredient are cumbersome when classes of ingredients could be analyzed instead. These consultations are also litigation magnets for anti-pesticide activist groups. 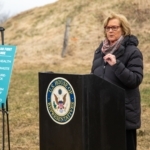 The House bill included some common-sense reforms to this process that would have streamlined its operation, improved its predictability and timeliness, all without sacrificing environmental protections. This language is diluted in the report to the point it is unlikely to be helpful. “The conference report also fails to include the reauthorization of the Pesticide Registration and Improvement Act (PRIA). Language from the House bill on FIFRA including a definition of ‘state lead agency’ which would have strengthened pesticide preemption across the country. 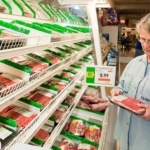 This legislation omits key provisions for agricultural retailers, which is a disappointment. “We know that farmers and their bankers need certainty; many of our members offer trade credit to farm customers, and they need that certainty too. We appreciate language in the Conservation Title related to Third Party Service providers, as well as provisions to support rural broadband to empower rural communities and enable precision agriculture functionality. The full text of the conference report can be viewed here. 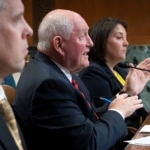 The Specialty Crop Farm Bill Alliance applauds the efforts of Chairman Michael Conaway, Chairman Pat Roberts, Ranking Member Collin Peterson and Ranking Member Debbie Stabenow along with the members of the Farm Bill Conference Committee in submitting a conference report for the Farm Bill. The Alliance has worked diligently to ensure the Farm Bill enhances nutrition programs that promote specialty crop consumption, expands agricultural trade opportunities, fully funds pest and disease programs and strengthens research funding. It is vital for Congress to take a bipartisan approach and pass this critical legislation. The Specialty Crop Farm Bill Alliance urges passage in both chambers before the end of the year. “Support of specialty crops programs in the Farm Bill demonstrate that Congress acknowledges the value of these programs and their tremendous importance to the specialty crop industry. 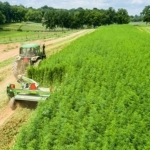 The Alliance is grateful for their inclusion in the bill and for Congress’s continued commitment to policies that enhance the competitiveness and sustainability of specialty crop agriculture,” saidTom Nassif, president and CEO of Western Growers Association. For more articles concerning the farm bill, please click here.